I'm really excited to show this project today. This D.I.Y. 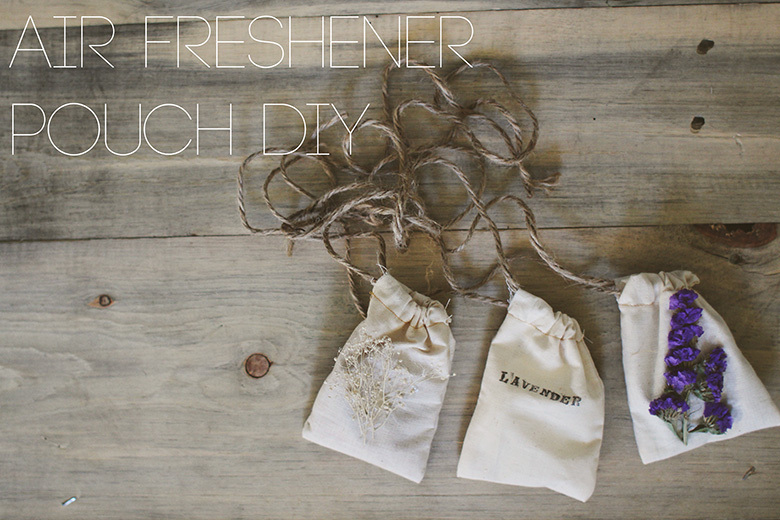 is a prettier way to display air fresheners in your car. Take a look! Supplies: Light weight fabric, thick hemp or thread, makeup pads or cotton balls, scented oils/spices/incense cones, items to decorate the pouches such as stamps, paint, or dried flowers. Pantry Supplies: Scissors, sewing machine, or needle and thread. Begin by cutting rectangles of fabric 5x10 inches. Begin the sewing process by sewing a loop on each end of the rectangle. Then, with the edges of the loop facing outward, fold the fabric in half and sew each side up to the loop. Next, flip the pouch right side out and begin decorating. I glued on dried flowers and stamped mine. Once they are decorated, thread a large piece of hemp through both loops to where both ends come out of each loop, facing the same direction. To make threading easier, pinch the end to a bobby pin, and use the bobby pin to pull it through. 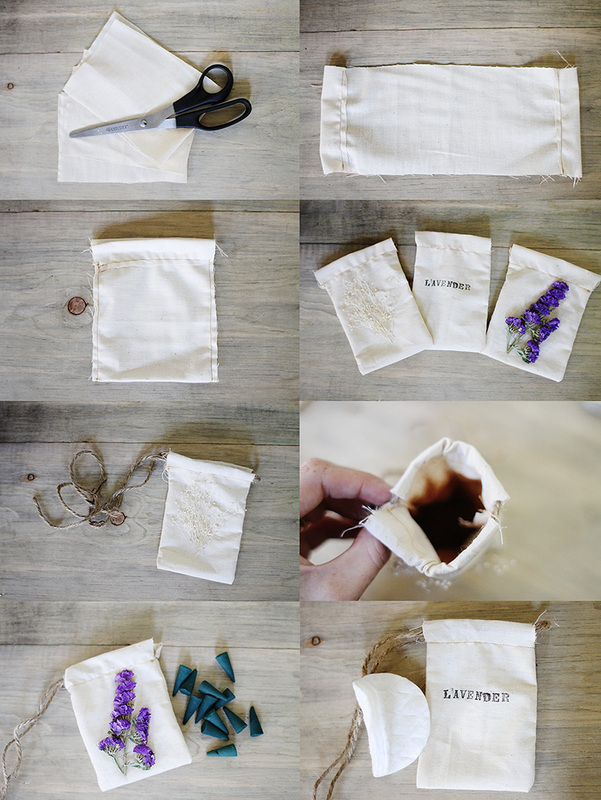 To add scents to your pouches, pour in spices, incense cones, and oil soaked makeup pads or cotton balls. I used cinnamon as a spice, aroma therapy cones, and a lavender oil. For the spices, you'll want to change them out regularly. I noticed the strongest scent was the cones, so I'll probably stick to just those for future pouches. I'm going to keep these in mind once Christmas rolls around to give as gifts. Wait, did I just say Christmas? Oy. So smart, yet so simple! Never would of thought of this girl! so adorable! it's so lovely and simple! how simple! what a good idea! What did you used to put 'lavander' on it? I just made similar ones for our bedroom. Such a lovely idea. I used to do same! These are very usefull :)! Love lavender <3. - And this would be a great homemade Christmas gift for the ladies in my family. Such a great idea - doing this for sure!! Christmas was my first thought, too! I can't believe we're already in the last half of the year! This is GENIUS!!!! Love these.